You might mistake the waiting room of Dr. Nicole M. Paxson, D.D.S., for a spa. Comforting colors, a cozy fireplace, flowers, and art all work together to create a space where patients can relax before an appointment. 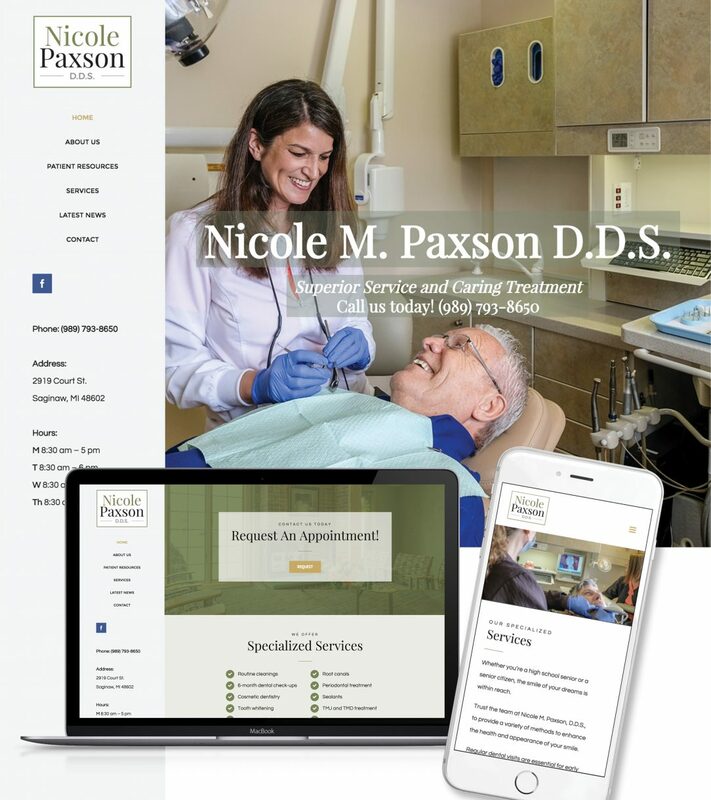 We just finished re-designing Dr. Paxson’s website to reflect the office’s spa-like vibe without losing her education tips that help her patients and their families live their best lives. To visit her new site, click here. While you’re on the website, be sure you click on Patient Resources to discover an extensive list of tips and tricks to boost your family’s health.